Check out this new special edition collaboration from Superga with Versus Versace. Loving the colourful prints. Now if only I didn't have 6 pairs at home already. Hmmm.. maybe to put at my studio? 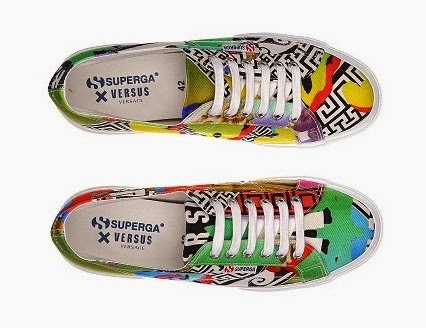 The Superga x Versace Versus special edition is priced at HK$1,300 and will be available exclusively in Harbour City starting July 2014.